Uncle Slappy, as you might have guessed, hates cliches. Here's his latest cliche-inspired slap. In my 10 years of blogging, in my nearly 5,000 posts, I’ve made it a rule never to mention where I work, who I work with, or who I work for. That’s obeisance, really, to the people who let me write my blog, allow me to have my tirades, critique work and our industry. That’s a silent pact I’ve made that allows me to write what I want, stupid or not, in as honest a form as I can. I’m not going to violate any of my rules today, though I wish I could. So this homage, this paean will be thinly veiled instead. Last night at my agency, we celebrated a client who’s been instrumental to more great work, more stellar agency careers, more awards, and more client success than any 10 clients. She’s thrived for 20 years in her job, which in this era where the expiry date of humanity has a banana’s longevity, is worthy of a marble statue in the Advertising Hall of Fame. For those 20 years, she’s been all you could ask of a client. Tough as nails. Demanding. Honest. Demanding again. She’s been trusting, empathic, supportive, funny, caring and smart. I don’t write this post to curry favor or to lay it on thick. I write it because in a world that seems to have forgotten the things that make relationships worth keeping and work enjoyable, this person keeps the torch of integrity burning bright. There’s really nothing more I can say. Nothing more than thank you for giving me a chance to contribute what little I can. Last night I ducked out of work early to go to a “New York Times” sponsored talk at Symphony Space, the capacious and rickety old theater on 95th and Broadway. The talk featured Dean Baquet, editor in chief at the Times, and among others, the great Maggie Haberman, White House correspondent for the Times. Like most of these Times events this one was intellectually challenging, upsetting, funny and more. But mostly, because the average age of the audience is in the low-90s, you’re left with the feeling that the ancien regime is over, and your time, and much of what you hold dear has most-decidedly passed. We were out on the old, decrepit Upper West and I was sent back to the summer of 1979 and my arrival at Columbia University. This was just two years after the black-out and riots that racked New York in July of ’77. Just four years after the city was practically declared bankrupt. The city was, in a word, scary. Many of the old, stately Upper Broadway buildings, built after the IRT subway opened in 1904 hadn’t been cleaned since they were erected. The entire neighborhood seemed noisy, dirty and out-on-the-street and more than a little threatening. Dozens of these buildings still stand and are still decayed. They were single-room-occupancy hotels back in the day, and look very worse for wear today. While many of the pre-war structures have been scrubbed and rich-ized and cooperated, many more stand there like old soldiers, lame, limp and crooked and probably more than a little squalid. There’s a lot I miss of old New York. I miss reasonable apartments, and being 22, and bookstores, and the old New Yorker movie house on 89th and Broadway where $5 let you see a day-full of Charlie Chaplin movies, come and go as you please. There’s a lot I miss of old New York. The Thomas Wolfe—not Tom—frenzy of the place, the hot and cold-running graduate students living in an old nine-room apartment on West End Avenue with a partial river view for $360/month. I think about Graham Greene’s screenplay of the American version of “The Third Man,” one of the great movies ever. That’s the New York I saw, I glimpsed from the window of my cab last night, as I drove home to a land, the antiseptic east side, that I like very much less, occupied by a man who has gotten old with his memories. The Whore of Babylon. Revisited. 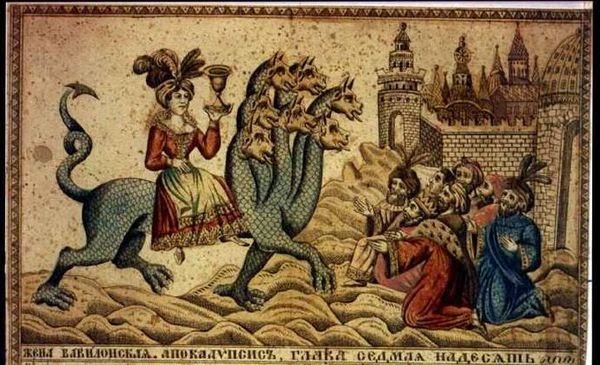 The Whore rides into Babylon on a seven-headed beast. An old friend of mine called last week. He had just lost his job and was turning to me for some insights, and maybe a soft shoulder, about the world of freelancing. Ordinarily, when I go out for a drink, I go solo and I go, almost exclusively to the Tempus Fugit. Many of my friends have asked exactly where the Tempus Fugit is, or have urged me to take them. But since it opened as a speakeasy 90 years ago and was thereby hidden down a labyrinth of hallways and stairways in a Verizon warehouse on way east 91st, I have yet to reveal its exact whereabouts. The place is well-hidden and a secret. I intend to keep it that way. That said, when my friend asked me if I knew a bar where we could bend an ear and an elbow, I came up empty. 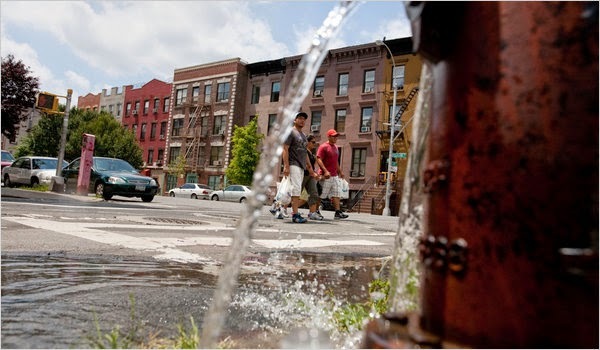 Finally, pressed, I blurted: "Let's go to a place I heard about on 114th and Pleasant Avenue, The Whore of Babylon." Pleasant Avenue is often anything but. I don’t usually think of city-planners as blessed with a sense of irony, but Pleasant Avenue is and always was a misnomer. It’s a scab of a street. The scabs hiding the bruises beneath. As such, however, the location suited my needs. It was far away from the sequined banality of the Upper East. Far away from the short-skirted and tight-shirted. A long way from the short-skirted and tight-shirted of the Upper East Side. The Whore of Babylon, tonight, would suit me just fine. The Whore, like the Tempus Fugit, also started in the wake of Prohibition. It also boasts no sign and puts up a threatening front so as to discourage hipsters and other temporal phenomenon. Like the Tempus Fugit, it has made no concessions to the 21st Century. There are no flat screens, no music, no neon. Just a dark old bar, three tables shoved against a back wall, and a burly, Popeye-forearmed barkeep. His tattoos show no trace of irony. We sat at one of the tables, the bartender brought over our beers, wiping our table damp before setting them down. "Nice place," my friend said. The bartender kicked at the sawdust accumulating on the floor. "This was a place of dissolute wickedness in its day," the bartender began. "As they say, it was fairly swarming with hot and cold-running temptations." My friend and I toasted to temptation. We drank to those we succumbed to and even more to those few we resisted. The bartender, quick as a furtive kiss, whisked around the bar and brought us another. "So how is it," my unemployed companion asked. "How is it dealing with the caprices of the job market?" "You are a ditch-digger now. Wake up, grab your shovel and dig." "This is when you find out if you did your homework. If your reputation's solid. If your opus precedes you." "Well, I can't help you there. Then you're the Whore of Babylon. A wicked creature, the Queen of the prostitutes riding on a seven-headed beast." "There was a time when personality--even a personality on the spectrum like mine--was permitted. We're all supposed to be Little Mary Sunshine these days, but I am that I am." He drained number two. I was about four sips behind him. I caught up, then signaled the bartender for a check. We laughed for a minute, like old times. Laughed about the banality of our business. Laughed about being old when we knew each other when we were young. I treated, and we walked silently home. Shakespeare, Hamlet and Saturday night. The last of the breed. Some thoughts from Uncle Slappy. Uncle Slappy's "Slap of the Week." Some (non-Trumpian) thoughts on Loyalty. Last night I had the un-strangest dream. David Gilkey, Robert Capa and more. Nobody asked me but....(Barbecue edition).